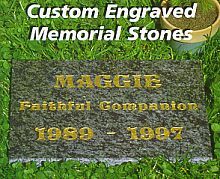 These beautiful burial markers are made from the same North American Granite as our basic burial markers, but come with a larger surface area to accommodate a photographic image that has been transferred onto a gold colored sheet of aluminum (up to 4" x 6"). Your personally submitted photograph will be photographically transferred, as a black and white image, onto a durable aluminum plate and permanently affixed to the, burial marker (your photograph will be returned to you unharmed with the completed marker). This proven photo plate technology will not fade from exposure to the sun. Gold colored aluminum is used as an attractive compliment to the gold lithochrome used to fill the engraved letters. 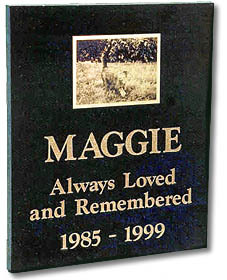 Our 100% American Granite stones make wonderful backyard memorials for pet owners who choose to bury their pet or scatter their pet's ashes, or for those who simply desire a permanent reminder of their lost friend. They come with durable diamond engraved gold lettering that will last a lifetime. 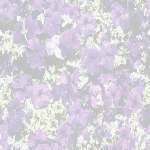 Dimensions 8" x 12" x 3/4"
*Granite is a natural product, actual color may vary slightly. Price $149.95 NOT including shipping and handling.